Do you have dry skin under beard? Does it itch? Do you notice dandruff on your tshirt? It can be a sensitive subject, we often find it comes up in conversation, maybe the person is too ‘manly’ to use beard care products yet they suffer from dry skin under their beard. We produce beard care products for that reason, to care for your beard. 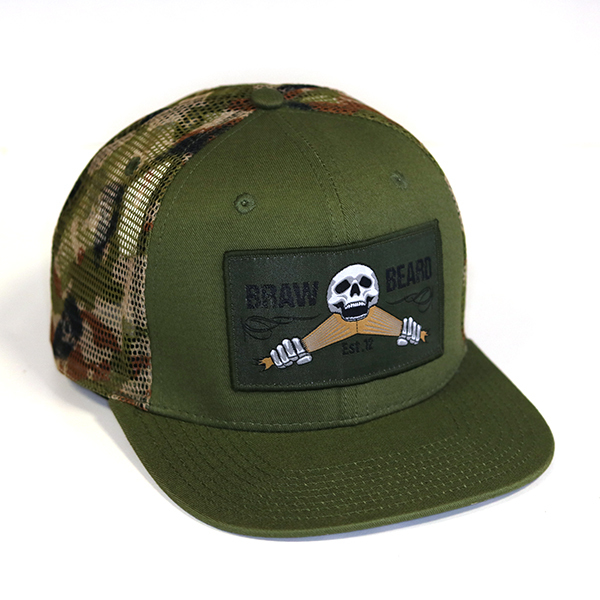 Braw Beard products are made with high quality ingredients to provide results. Dry skin under beard can also affect those who spend a lot of time outdoors due to the weather, dust and sweat. Our inbox usually has messages from people who work as gardeners, builders and athletes asking for our advice. What can cause dry skin under beard? If you spend a lot of time outdoors, the wind can dry out your skin and hair, stripping them of their natural oils. Sweating can clog the pores with dirt, causing redness, irritation, acne etc. Dirt and grime left in your beard can cause itchiness and irritation too. Combating dry skin under your beard. When it comes to beard care, the first thing I’d recommend is to make sure all of the shampoo has been rinsed out when washing your beard. Any residue left in your beard can clog the pores and dry out the skin under the beard causing dandruff. 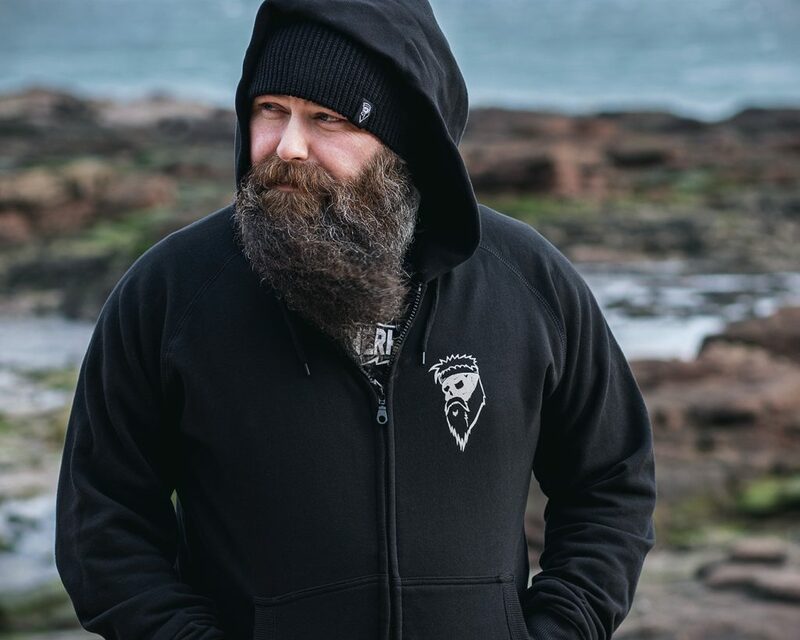 Braw Beard Wash is rinsed out very easily, just be careful when using other shampoos. If you spend a lot of time in a dusty environment, I’d recommend using Braw Beard oil in the morning to hydrate the hair and skin. Don’t use a beard butter or beard balm until you get home. The wax elements in this product may attract dust and dirt, so I’d suggest sticking to beard oil and perhaps re-apply Braw Beard oil during the day with a brush. Again the beard oil will hydrate the hair and skin. The brush bristles will help exfoliate and remove dirt from the skin under the beard. Once home and out of the dusty environment, wash your beard and apply beard butter to moisturise the hair and skin. For those who spend time outdoors (not a dusty environment). I’d recommend using Braw Beard oil in the morning and applying some Braw Beard Butter to moisturise the skin and beard hair. Braw Beard Butter can provide a barrier from the elements and maintain nourishment throughout the day. 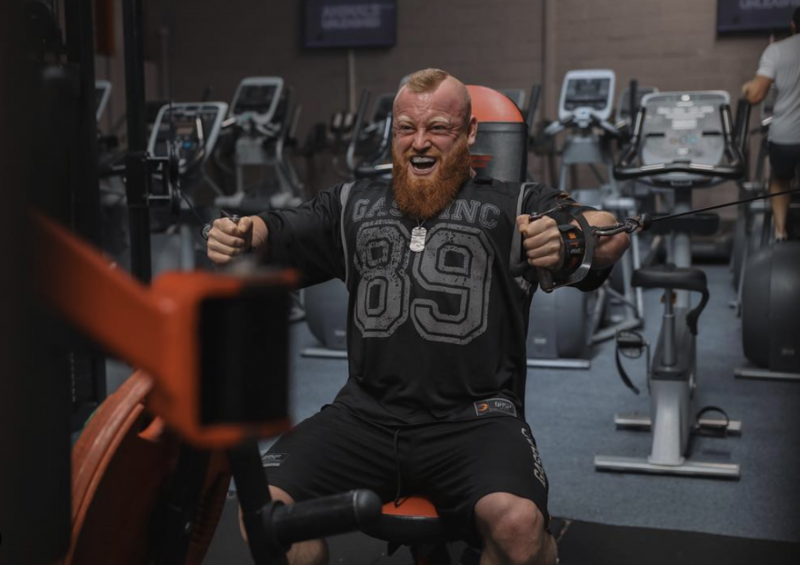 When dealing with sweat, we tell our athletes to wash their beard with Braw Beard Wash after training/competing to clean out the sweat and grime. Then apply Braw Beard oil to nourish the hair, then comb the hair to detangle. Next apply Braw Beard Butter to moisturise the hair and skin, then brush through to evenly distribute the product and exfoliate the skin under the beard. 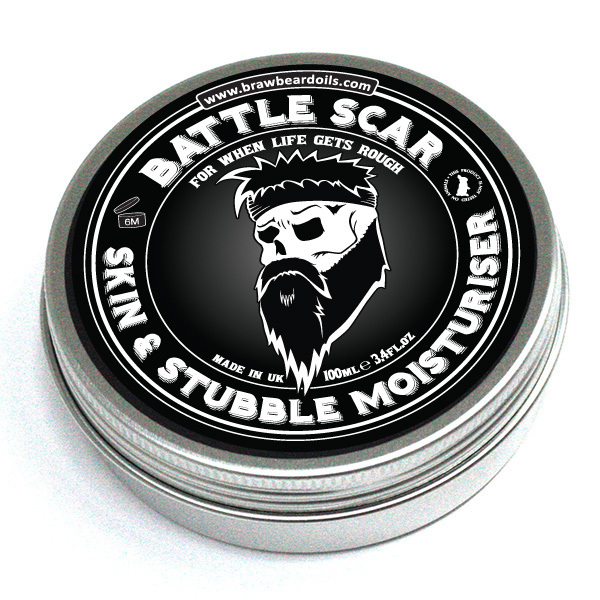 If you have dry skin elsewhere from your beard, we recommend using Battle Scar Skin and Stubble Moisturiser. It is a light fragrance free moisturising cream which calms & cools stubble irritation. Our moisturiser contains aloe vera which is anti-inflammatory and is suitable for sensitive skin. “At first I was a bit nervous about using this as I have very sensitive skin and most things will set it off. But this cream has helped my skin feel so much softer and smoother and looks a lot better aswell.” – Kayden B. “Having to work outdoors and especially this time of year my skins gets a hard time from the elements and becomes very dry. I have tried some other products that just didn’t hit the spot and then I discovered Battle Scar. Easy to apply, non scented and has made my face a happy place again. Highly recommended along with their entire range. 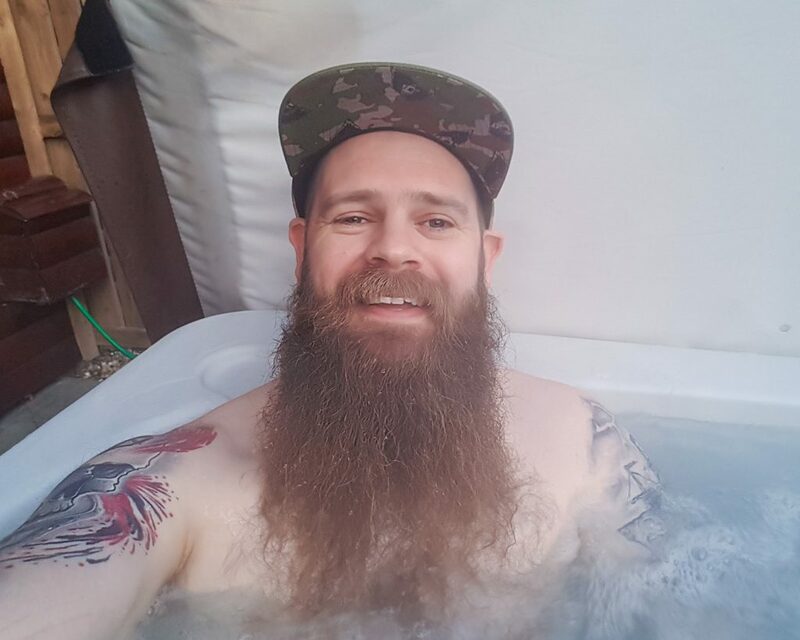 Keep up the good work.” – Paul S.
I hope this has helped give some advice when it comes to dealing with dry skin under your beard. I am not a doctor so this is just from my experience, always consult a doctor first if you have any concerns.